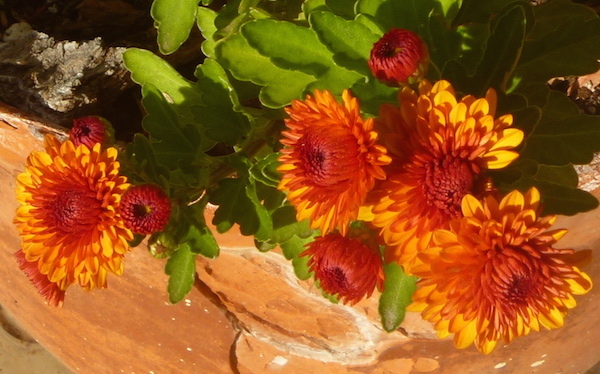 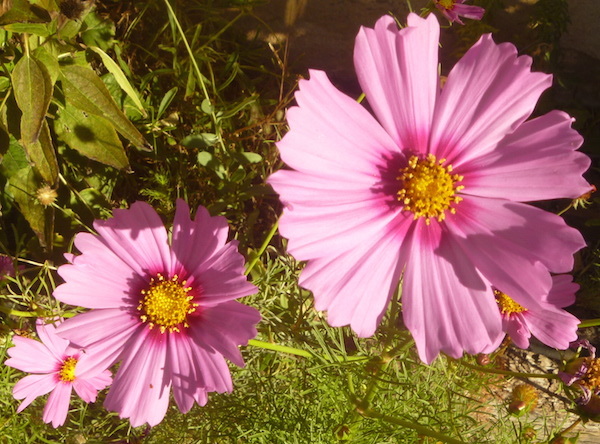 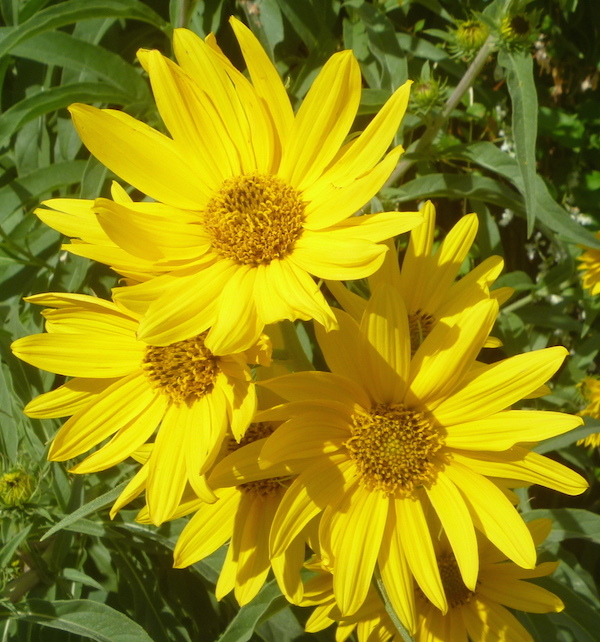 On my 5.5-mile walk this morning, here’s what I encountered. 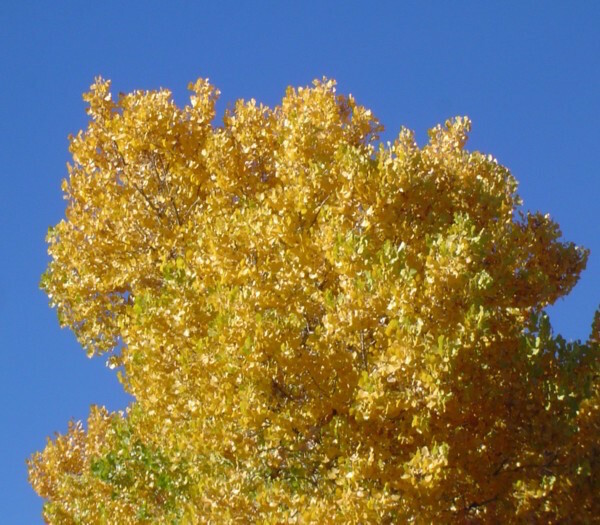 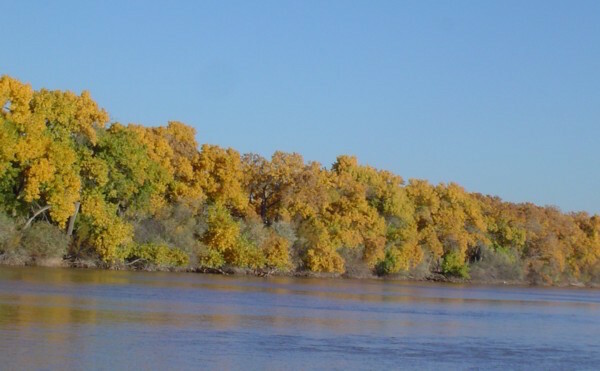 At the top, a cottonwood against the fall sky. 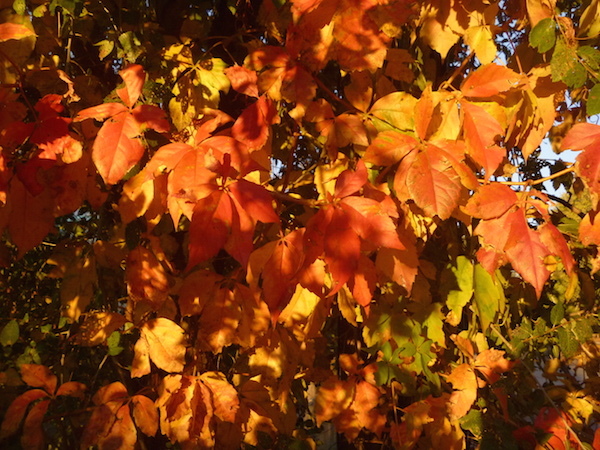 Although its name sounds like a peeping tom in Richmond, this Virginia creeper is beautiful in the fall. 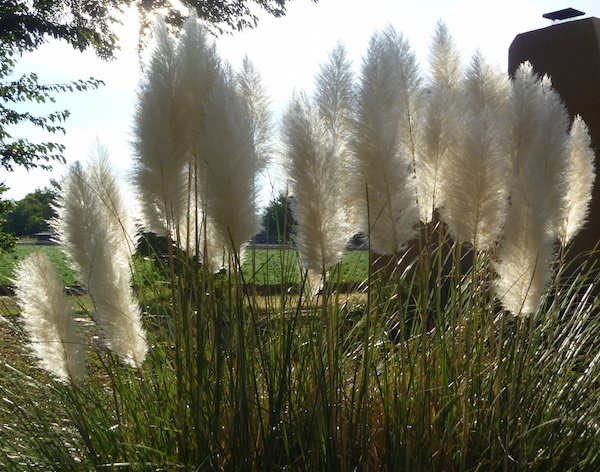 Although not native to New Mexico, pampas grass is a beautiful ornamental. 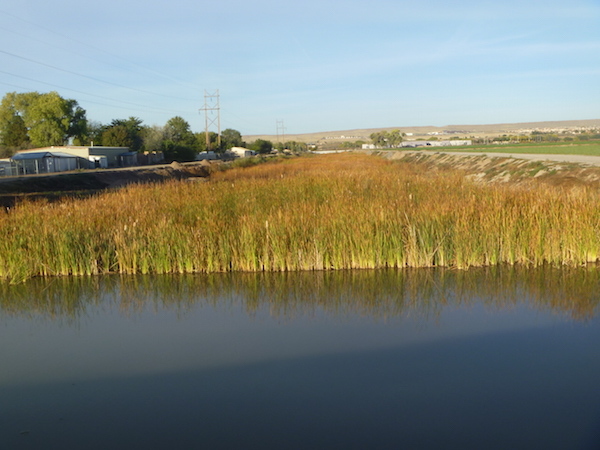 This flood basin attracts ducks, geese, and redwing blackbirds. 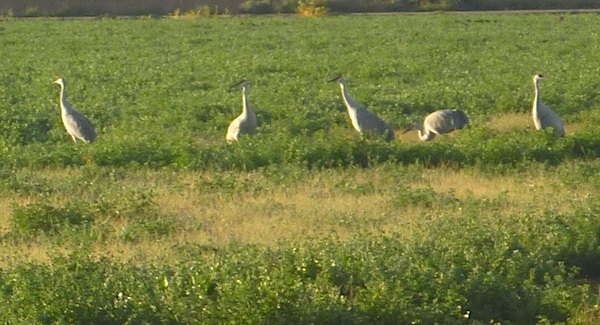 Sometimes there are hundreds of sandhill cranes in the 700-acre alfalfa farm I walk around. 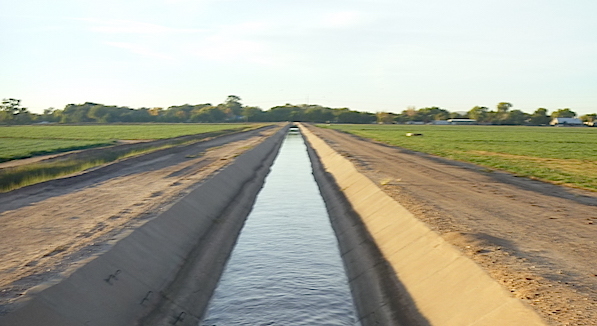 Although there’s only six days left in the irrigation season, the main ditch is still full. 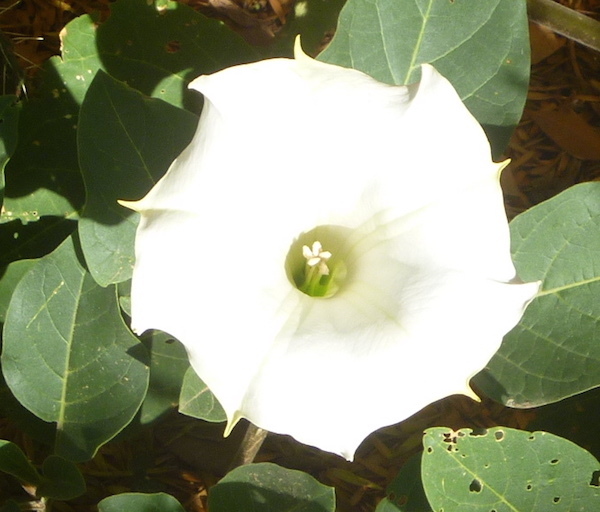 Eat any part of this datura, or jimsonweed plant and you’ll be hallucinating until you die. 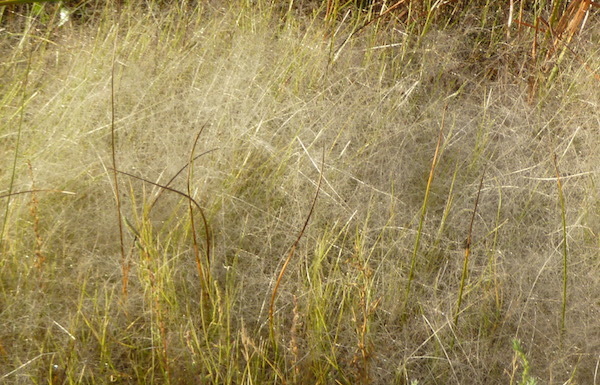 This witchgrass collects dew and is a little spooky around this time of year.